Title of the work: Im Windesweben III (2013). Commission: Conservatory of Perpignan and Mexico City Wind Quintet. World premiere: 23.10.2013. 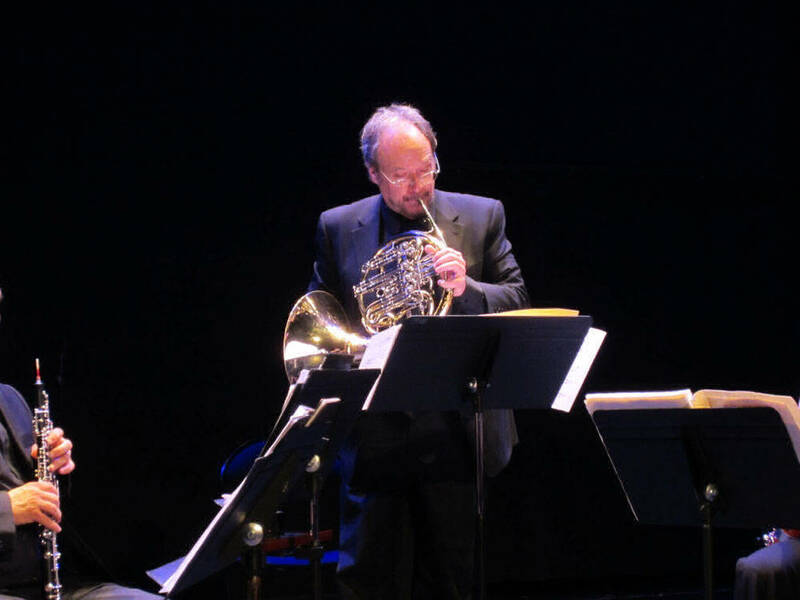 Mexico City, Festival de Primavera, Sala Ollin Yoliztly, Paul Miller, French horn. Program note: link or read the complet article (ESZ News No. 63, 2014). Title of the work: Im Windesweben IV (2013). 1. Impromptu I (first piece of Im Windesweben II, for solo French horn). 2. In the murmuring wind (first movement of Im Windesweben III, for wind quartet). 3. Nur Träumerei (second movement of Im Windesweben II, for solo French horn). 4. War meine frage (second movement of Im Windesweben III, for wind quartet). 5. Impromptu II/a (first page of the third movement of Im Windesweben II, for solo French horn. The performance of the entire cycle can be completed with a short piece: Im Windesweben IV, for wind quintet. Im Windeswebebn I is a piece included in "Segundo Libro del Canto Alado", for clarinet and string quartet. Javier Torres Maldonado: Im Windesweben cycle. Paul Miller playing Javier Torres Maldonado's "Im Windesweben", Conservatoire National of Perpignan, France, 26/03/2013. 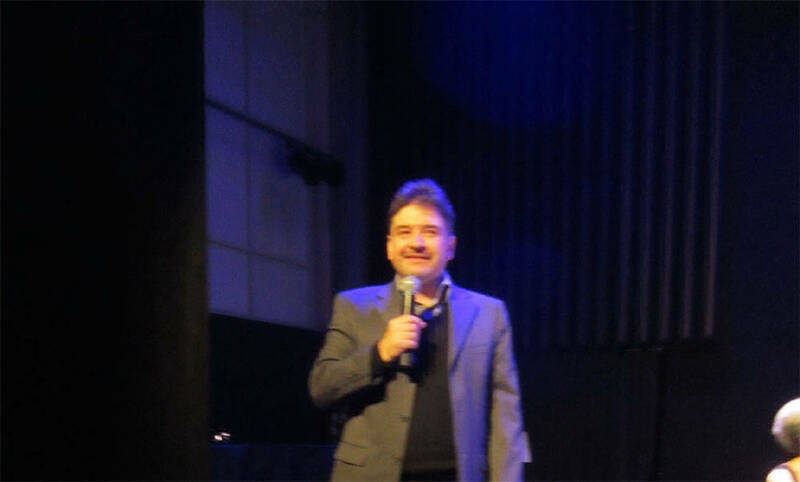 Javier Torres Maldonado's "Im Windesweben" II, II & IV, Conservatoire National of Perpignan, France, 26/03/2013. Three new works for Javier Torres Maldonado. 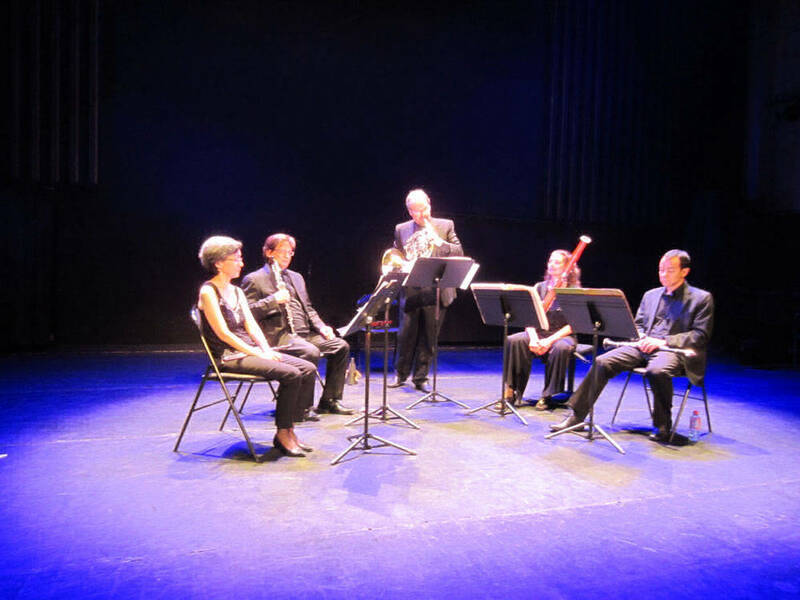 On October 23, 2013, the Auditorium of the Centro Culturale Ollin Yoliztli in Mexico City, during the concert season of the Sala Ollin Yoliztli, hosted the first performance of Im Windesweben II for horn and Im Windesweben III for wind quartet (flute, oboe, clarinet and bassoon), jointly commissioned by the Mexico City Wind Quintet and the Perpignan Conservatory, played by the same group and the soloist Paul Miller. The composer tells us: «The two pieces can be played together in various ways with an alternation between their different respective movements or else independently. One of the materials forming the basis of Im Windesweben II and Im Windesweben III is the musical gesture from the last bar played by the clarinet in “Aria (Im Windesweben)”, the fourth and final piece of Segundo Libro del canto alado, consisting of a simple figure played staccato-decelerando, performed using a repeated airy sound. The sequential numbering of the titles of both cycles refers to the structural relations resulting from the transformations carried out by the composer on the above mentioned musical gesture. The title Im Windesweben (“In the murmuring of the wind”) is a quotation from a poem by Stefan George used by Anton Webern in the second Lied of his op. 3 (Fünf Lieder aus “Der siebente Ring” ). Nevertheless, there is no actual reference to the music of Webern: the relation is instead to be found in the sonic imagery and in the quality of the timbres. Since I have recently been interested in the abstract translation of sonic objects coming from the real world or of fragments of them, the basic material for Masih for saxophone quartet and for these two cycles originates not only from the clarinet gesture but also from a fascinating moaning of the wind recorded inside a room. By means of different analyses and translations of this sound I obtained some musical elements which were then subjected to processes of transformation that gave rise to certain “chemical reactions”. I’m currently working on a short piece for wind quintet that could perhaps be thought of as a conclusion: Im Windesweben IV». The new work will be played again by the Mexico City Wind Quintet during the masterclass given by the composer on April 23 and 26 in the Perpignan Conservatory.